A Benchmark report from the reliable Vidyard revealed this year a huge leap in business use of video among high-tec and professional services firms, especially on landing pages and in email, with explainers and demos being the most popular formats. Hard to believe, but 89% of their audiences watch on desktops not mobile, during midweek mornings. In other words, business buyers learn with video at their desks. For financial services firms, that means video is becoming essential for connecting with investors, institutions, entrepreneurs, IFA's, brokers, end-clients, lenders, banks and others. 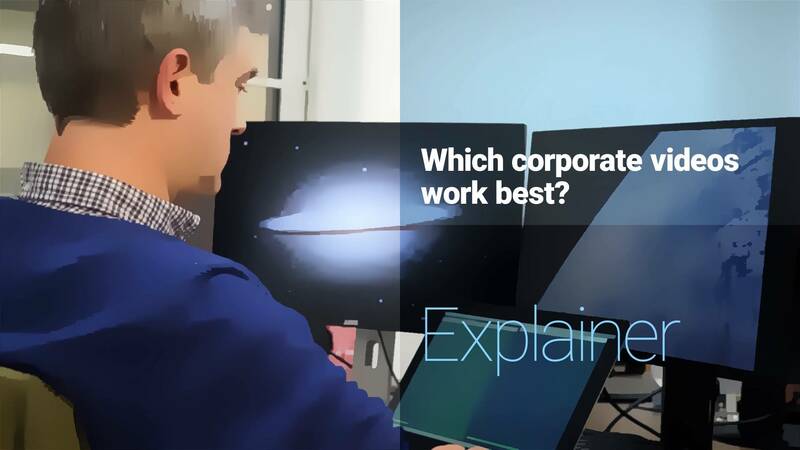 With business development a permanent concern for financial firms, how can lead-gen, origination, sales or networking exploit video to help with biz-dev directly? As video producers, we tend to use eight thinking steps with financial videos. It's good to start with the audience. Procurers and logicians differ. Prospects and clients, brokers and end-users - they all have different prejudices, needs, hopes. And that means different messages or at least different emphases. So if we want to reach say 4 audiences for a client - we'd usually grid up the needs, expectations or priorities of each, and build distinct tailored messages. It's impossible to stretch one production to meet the needs of all audiences, and be effective. And don't worry about costs - the incremental budget for video variants is generally small if the planning's tight. So there's good value-for-money here. A) Needs recognised: buyers want to know 'does this exist' or its name or a broad idea that their need has an answer. End-users often drive this stage, so they need reassurance that your service solves their problem, and looks instantly like a fit. Simple explainers, walk-throughs, or demo videos work well here. B) Needs quantified: procurers, users and specifiers tend to dominate this stage, and they'll seek technical information, purchasing, pricing, delivery and other practical parameters here - your videos can help them develop their brief. That positions you as expert, helpful and an obvious RFP candidate. A 20 x 15 second video campaign of specifiers' tips on social media could serve your lead-gen team well here. C) Candidate firms invited: procurement managers often lead this stage, and they're looking for reputation videos about your firm via trusted third-party websites such as industry experts, wholesalers, reviewers, procurement sites, trade press, and purchasing agents. So it makes sense to create videos to reassure these third parties directly about your service quality, market position, unique approach, longevity, skills and leadership. This is where corporate videos can fail, because they lack this targeted reassurance purpose. Two or three meaty but short factual pieces will help others spread your reputation. And if procurers are still short on candidates, they can use search engines for competitor products, so if you're in an adversarial or aggressive market, comparison videos or just even demos titled 'competitor to X' can be helpful to lead-gen.
D) RFP: again, procurers tend to lead this stage and have an interest especially in your business health, but also end-users like use-cases. This is a good opportunity for users to see demos and then get in touch, and for your senior team, experts or designers to reveal competitive insights into the product, services or process, and to be privately visible to buyers. Password protected videos have a theatrical effect and tend to get more focused viewing from buyers. As for your team, most boards and seniors, technicians and experts are shy, and like to remain invisible. Yet a simple few 'how' questions by a good interviewer can reveal the gems that give you warmth, authenticity and believability at this key stage - a real lead-gen advantage. Purchasing Decision: procurers are known to use review sites to qualify or find weaknesses, so on your industry review sites, it's a good idea to address those accusations in video, by demonstrating how to overcome, repair or prevent occurrence. Just keep the rebuttals off your own site - no need to to draw attention to weaknesses or build doubt. And if your tender document isn't detailed enough, procurers can also visit your website for service demos or explainers, so it's pretty sharp thinking to have helpful lead-gen support videos there. Next thoughts: bannish your fears over USP's, advantages and distinctiveness. Even if you have well researched and well defined key selling points (and many financial firms struggle with this), this one's actually much easier than it looks. The simplest way to be distinctive is to stop hiding. Just reveal your character and culture. Because it's unique, fascinating and entertaining; every firm's culture is. But many of us in the workplace think that when a camera turns up, we need to hide that, be someone else, or to 'behave'. Actually the opposite is true. All the best videos capture authenticity, because it's what the audience wants: the unadorned truth. That's why DIY, in-house and glossy videos generally don't work - the audience can smell BS a mile off. On our shoots, I've seen media-trained execs forget their crafted lines, politicians struggle, and seasoned presenters forget their words - and all for nothing. You simply can't beat an unrehearsed, deeply believed and lived answer to a big question. It's that directness, that conviction, that energy that wins hearts and minds. And that directly helps lead-gen.
By now in the process, you're hopefully thinking something like 'We want to raise gross margin (GM) by £x through this video campaign'. If not, you're really making branding and awareness videos. Nothing wrong there, but their budgets are harder to quantify. With lead-gen videos, you can easily define a GM Target, plan for an ROI of say 300-500% and then, allow for a risk factor of say 200-300%. So your budget might be Target GM / 500% / 300%=one fifteenth of the boost in GM. Obviously adjust till you're happy (most firms in our experience would be happy with one tenth or fifteenth of GM boost). Now you have a budget, it will inform how tight or comfortable you can be creatively. That means how many finished pieces, what duration, how many audiences and messages you can afford, which steps in the buying process you can prioritise, what sort of tone and style, how ambitious your lead-gen videos are really going to be. Getting the timing right is important - lingering too long on negatives turns people off, yet empathising with the buyer's pain turns viewer on, so it takes a bit of know-how. There are many more of these - we've developed over 40 formats for differing purposes. 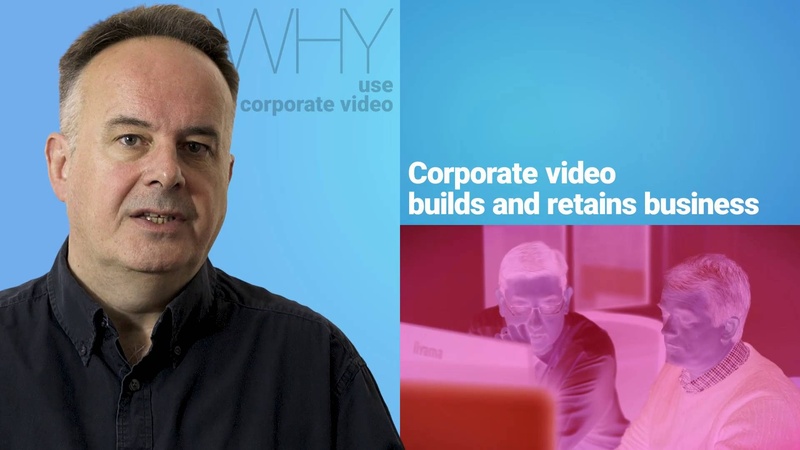 Defining a visual tone is easy - pulling it off imaginatively is the task of the video firm. And because tone is emotional and a huge distinguisher, it's important for lead-gen. None of these components is fluffy or arty - they're all part of your audience's visual vocabulary which they've learned from a lifetime in front of film and TV. Anything less and you're probably disappointing viewers. And finally, when you've got reasonable results coming in, and there's cash to re-invest, try getting your video firm to produce alternatives and A/B split-test those to learn. The more you know, the more you grow. And it IS all about the growth.